Fully automatic high performance punching systems. 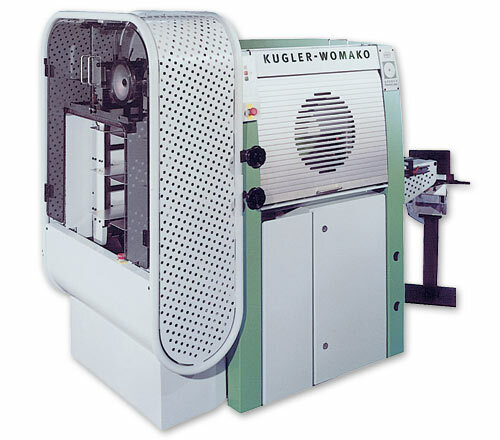 Our punching machines can be operated comfortably by one person. Punch requires minimum space. Non-stop feeder and careful in-feed of materials from top. Trouble-free processing of mixed material (e.g. cardboard and plastic). Precise alignment before punching ensures highest accuracy. For perforating of ring binder inserts as well as calendar and register sheets made of cardboard and plastic, paper for wire-bound products and much more. The tool change only requires few manual adjustments. A turn-over wheel ensures the sequence of illustrated and numbered products is kept. Precise and simple tab adjustment for indexing.